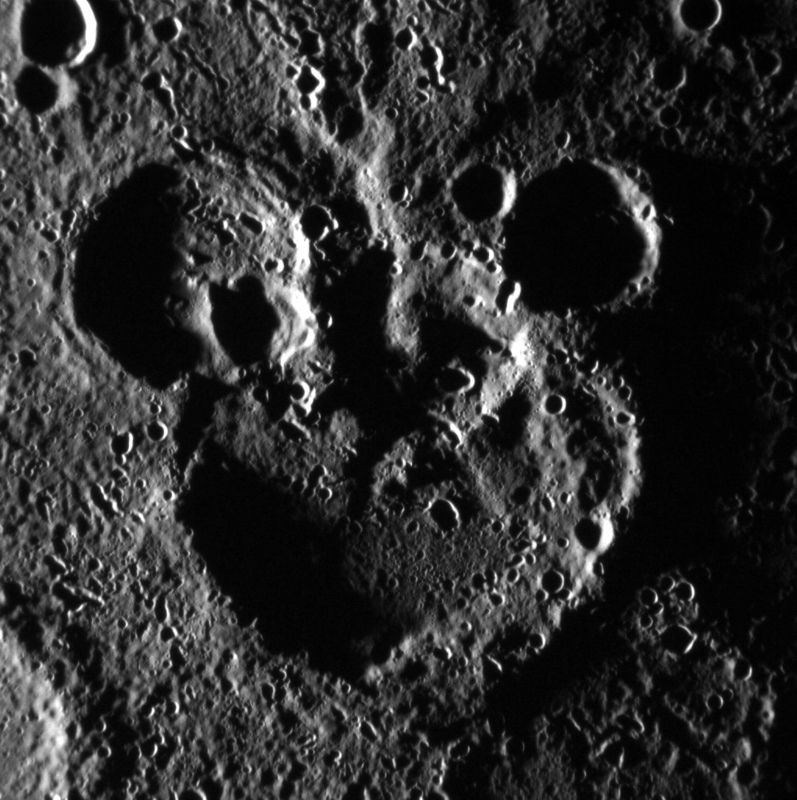 A Messenger image aquired in June 2012 showing a group of craters on Mercury with an uncanny resemblance to Mickey Mouse. The formation was named after Walt Disney by the International Astronomical Union in December 2012. The main crater in the image above is about 105km in diameter.